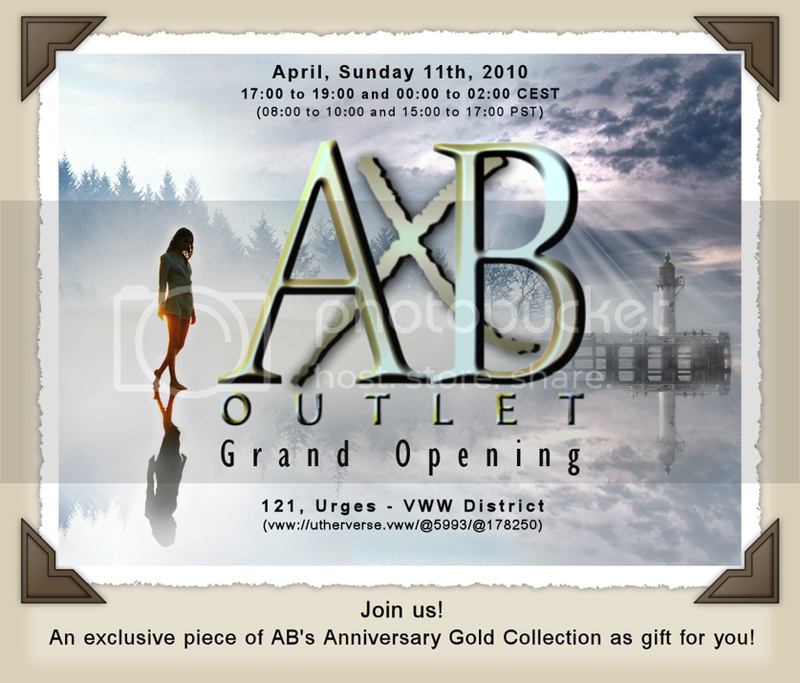 Redlightcenter events: AB Outlet Grand Opening! Pics and more infos to come here and in our site! These exclusive pieces will be released only at the end of May 2010, in honor of our 1st year as official designer and our 1st sale! One piece per person will be gift to everyone will come and meet us @ AB Outlet, our brand new store opened in Urges VWW District, Temptation DreamWorld Square, Rasa's Design City and Dream Italy Dream. Please visit our site HERE for more infos, details and form. Shine like a star... come and choose your gift!